Well, that’s Carmen been at School for 18 Days – 8 of those were only half days, and the other 10, Full Days. 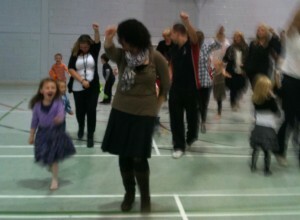 She seems to still be enjoying it – the first week she had an invitation for a birthday party! bloomin eck! Then last week – another invitation – it’s Birthday Crazy!!! There must be something with September babies.. hmm – 9 months after Christmas/New Year… no further comments required I guess! So today was the first of those parties mentioned above.. even Carmen’s teacher – Mrs Macgregor was there too… however – she does have a child in the same primary 1 (albeit a different class), so I guess we can’t complain! lol. £125 for a party, which includes a Circus Theme – with a bouncy castle and “fully trained” party co-ordinators. The place is run by the local council, so I guess it wasn’t too bad! We’ve got a £5 off voucher if we have Carmen’s party there! Carmen did have a wee moan, and decided she wasn’t going to play in the party games, which was a bit annoying, however – she ultimately doesn’t “really” know her friends yet… give it time. Carmen’s birthday is thankfully a couple of months away yet, so (cough) plenty of time to organise! PLUS i’ve got the boss asking when xy and z products are going to be online… hmm. we’ll see… ! 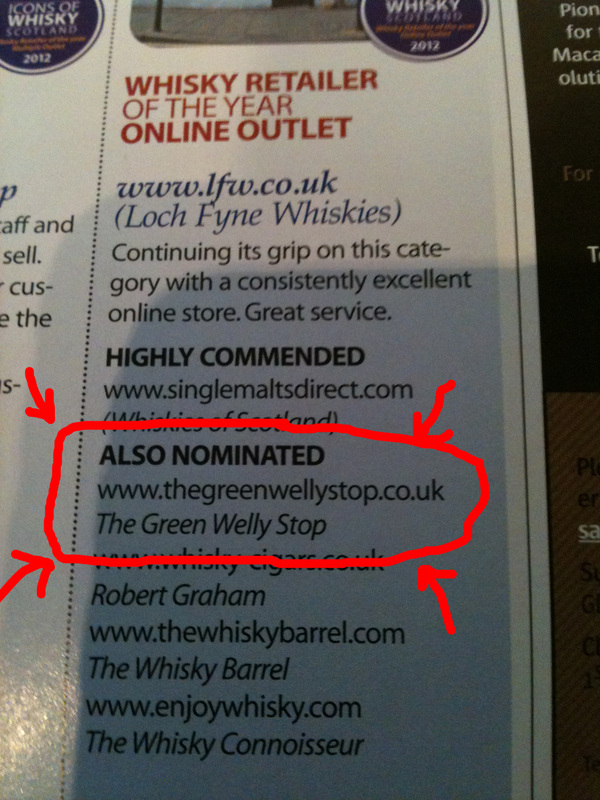 On a HUGELY positive note, I totally didn’t know until I decided to open this month’s Whisky Magazine, that my site, The Green Welly Stop’s Whisky Galore was nominated for online retailer of the year! – wow how awesome is that – well chuffed to bits with that one! Let’s hope the bosses are too… loverly. Icons of Whisky winners for 2012 – next year??? Hmmm… lots to comment on here…. sounds like the birthday party was quite good value… or was it?!?! Did it include food? If not cancel that comment… So, why didn’t you get up and dance? Oh, aye, it wasn’t U2. 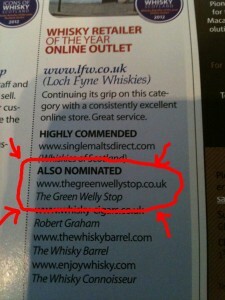 As for the Whisky Retailer of the Year…. Well done, Ed and I are really, really impressed with what you have done and well and truly deserved. Wonder what the winner does that makes it so special? Things to do before you pop it.